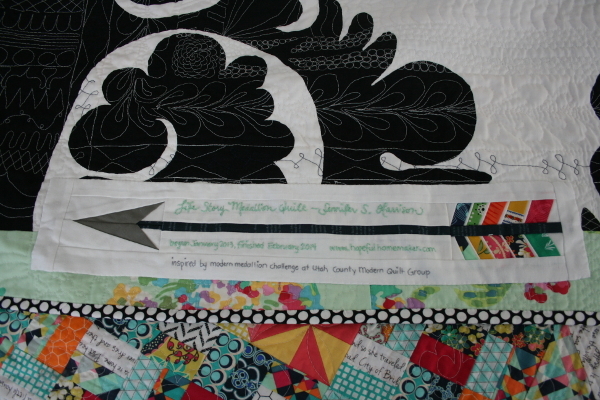 I’ve got several other things to finish before I can actually work on it so I’m collecting a few pieces to use in the backing for my medallion quilt. 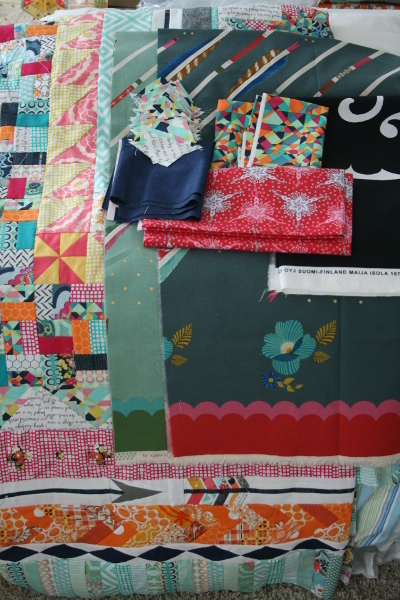 Not sure exactly how things will come together, but it’s nice to have this pretty pile to look at as I come and go. 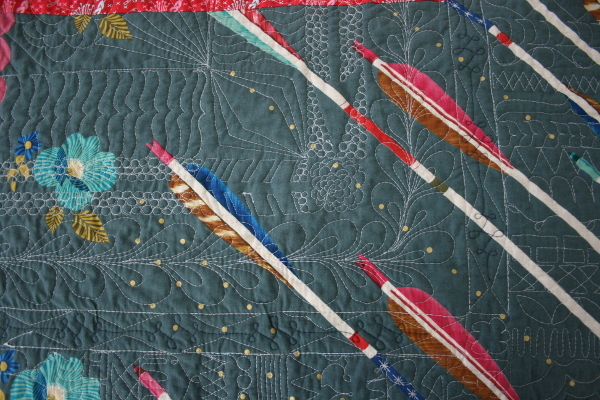 I’m especially excited about using some of Melody Miller’s arrow fabric in it, to echo my own arrows on the front. My only rule is that it has to come from what I have on hand. It’s going to be a busy next few weeks and I’m feeling overwhelmed today by all the work I need to complete in a short period of time and in addition to my usual efforts. I’m reminding myself that doing something – anything – even if it’s not the perfect thing, is better than just worrying! 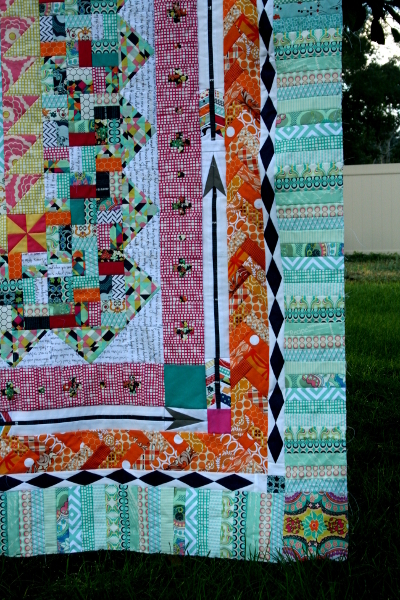 Off to do my best (and maybe add another piece of fabric to that stack if I can spare a minute). 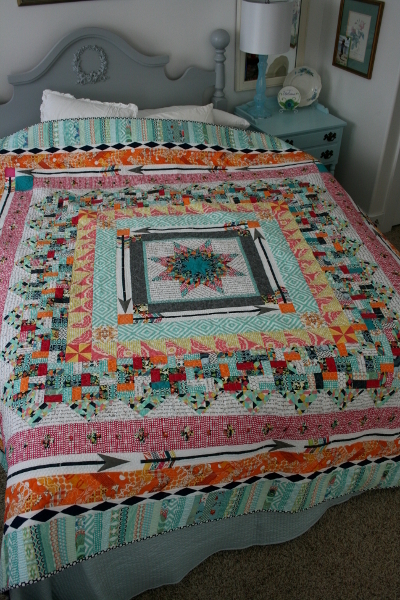 It’s 84 inches square and time to call it finished. 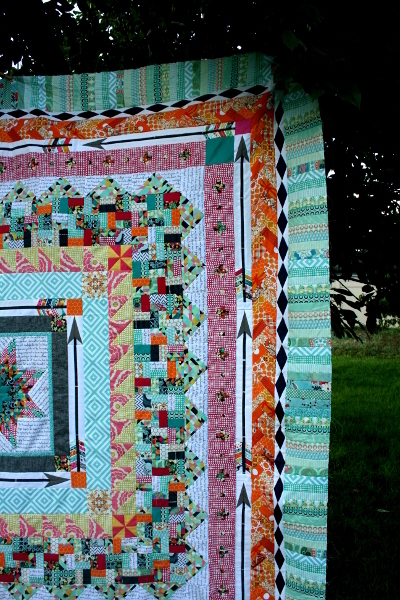 I really love my modern medallion quilt top. 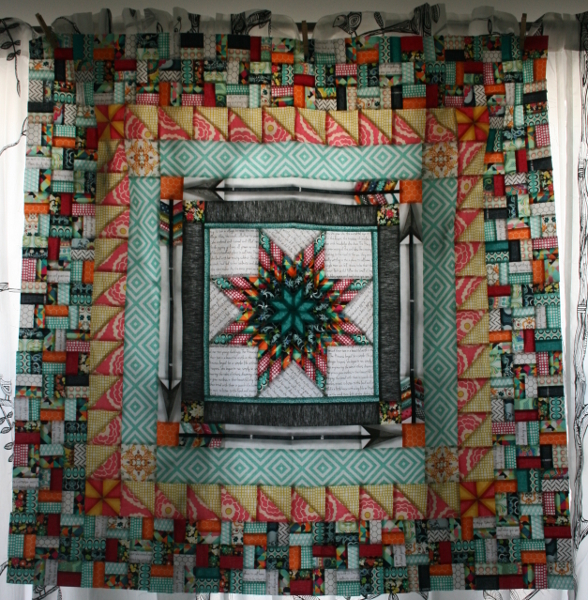 After adding the arrows and orange border last week, I added a diamond border followed by a piano key border to finish it off. 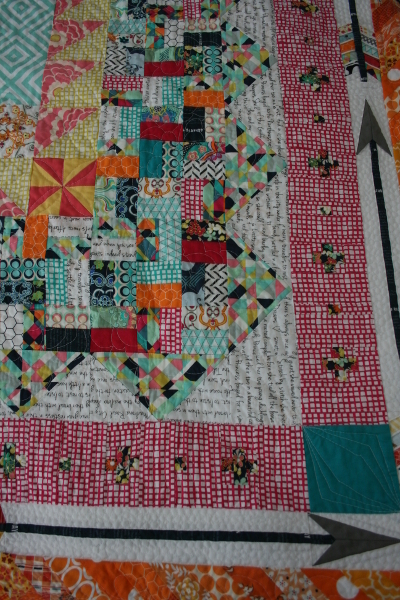 One of the interesting things to me about this quilt top is how “pastel” it looks in color from a distance, when up close it is full of vivid, bright and many dark fabrics. It reads so differently depending on how close you are. 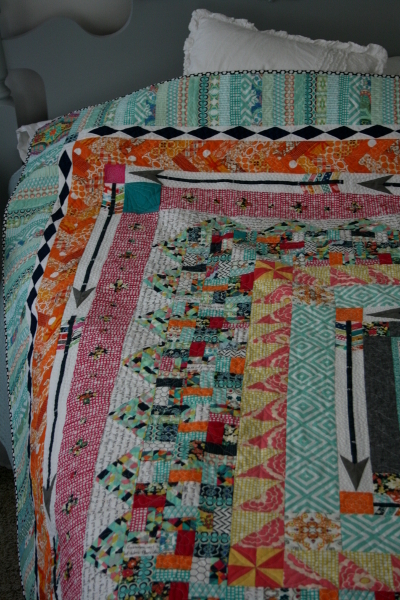 Creating this quilt has been a fantastic experience in adjusting things as you go along, changing plans, trying ideas. Lots of math, lots of sketching, lots of work but lots of fun too. I have enjoyed every step of this creative experience. The navy diamonds are bold like the arrows and help the arrows stand out. 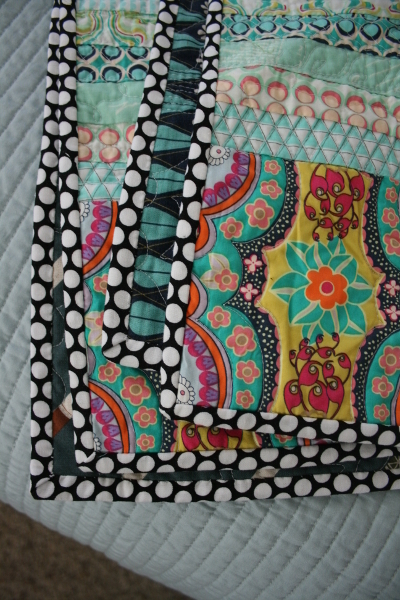 They finish at less than 1.5 inches wide. 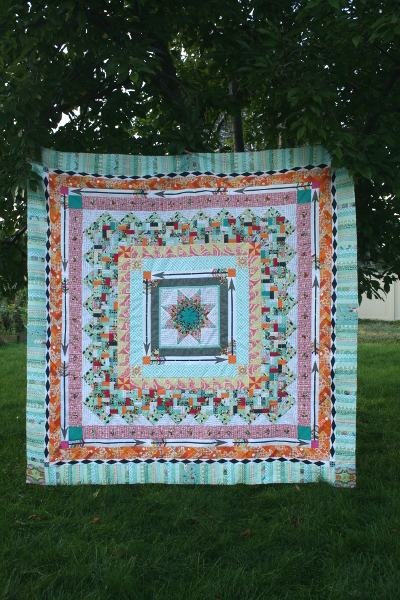 After the pink and orange I wanted to end with the greens used in the middle of the quilt. 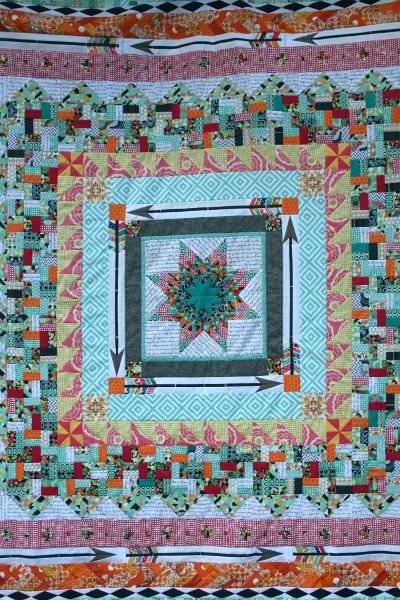 There was one print from the Carnaby Street collection that I hadn’t used much but really like, so I fussy cut my favorite part of the motif for the corners. 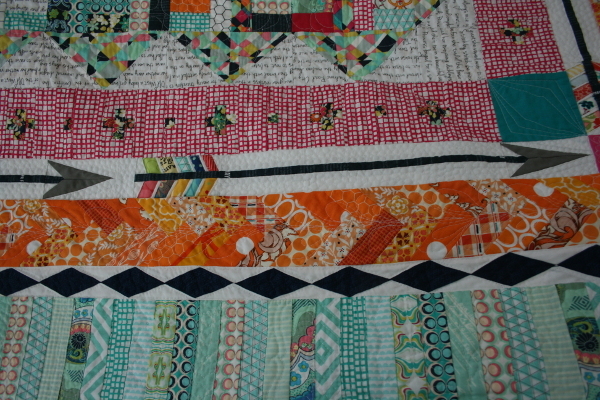 The green strips are 5.5 inches long and there are 300 of them in the border. 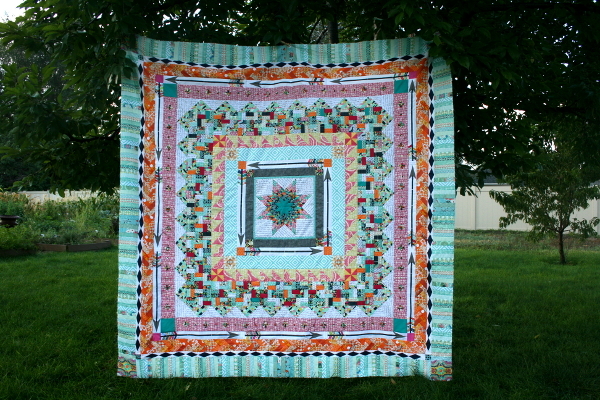 I’m excited to piece a back for this quilt and decide how to quilt it. 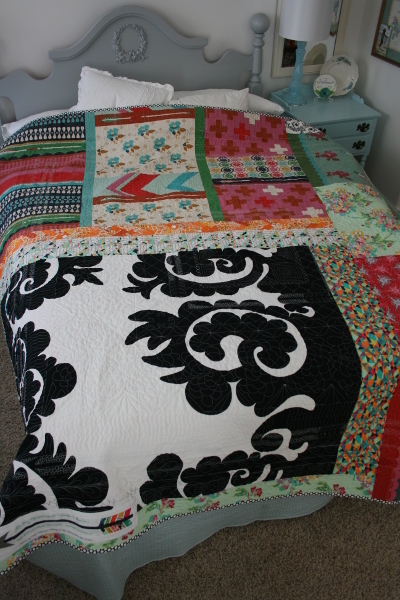 Lots of work still to go but I’m thrilled to have this quilt top completed.